ICACCI 2018 requires that the submitted manuscript is solely from the author's own work and not from the work of others, unless explicit permission has been granted. This includes text, figures and tables. Information from published articles must always be cited explicitly. Proper citation is to give the credit to the work that is originally published, not to follow-up work or reviews. Citations should be given close to the information within the sentences or at the end of the sentence, not after several sentences or near the end of the paragraph. Even when citations are given, exact copying of a whole sentence or paragraphs should be indicated by quotation marks. Furthermore, reuse of part of a published figure or table requires a copyright permission from the publishers that hold the rights. All re-published figures and tables should explicitly indicate the original source. Plagiarism is viewed as a serious offense by IEEE and ICACCI and some cases could lead to a ban of 5 years in any IEEE publications besides notifying your institution and research funding agencies. You cannot modify the title for the paper, please send a mail to icacci.bangalore@gmail.com if that is necessary and give a valid reason. 8. Submit IEEE Copyright through EDAS. An IEEE Copyright Form must be submitted for each paper. 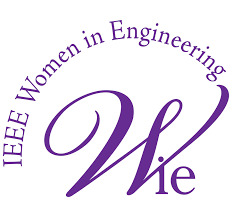 The IEEE is enforcing strict copyright rules. For your convenience, the copyright is made available electronically through EDAS. 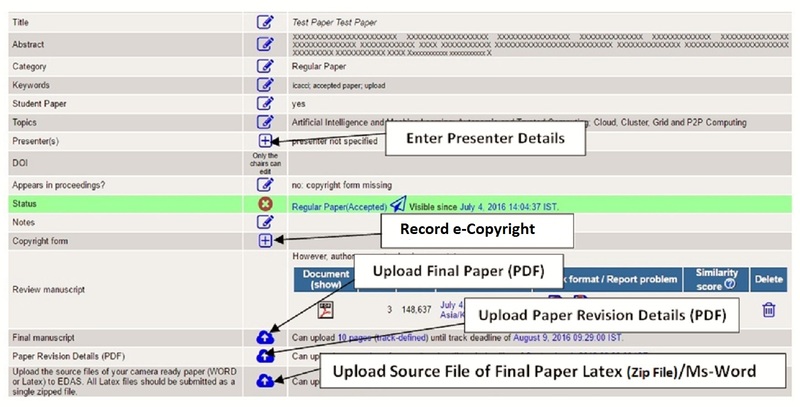 To upload copyright forms, first log into EDAS, then go to "My Papers" tab and click on the '(c)' icon under the column "Copyright Form" where your paper is located. You will be redirected to the IEEE Electronic Copyright Form website. Please provide carefully the answers that best apply to you. Once the copyright form has been successfully recorded, you will receive a confirmation email. There are several accommodation hotels in Bangalore. A list of suggested hotels has been posted at http://icacci-conference.org/2018/content/hotels-travel-visa. If you'd like to stay at one of these nearby hotels please make your reservation as early as possible. Attendees visiting India should be particularly aware and careful about Visa requirements, and should plan travel well in advance. Many nationalities would NOT require an invitation letter to attend ICACCI 2018. If you need an invitation letter, please send an email at icacci.bangalore@gmail.com in which you indicate your: Paper details, full name, full address, passport number and nationality. Please note that it may take several days for a visa memo to be sent out after it is requested. Please plan accordingly. Sample PPT for oral presentaiton:click here..